BATON ROUGE — A special election to fill a vacancy in the Louisiana House of Representatives left by the resignation of Rep. Clif Richardson is only two weeks away, and the two candidates are making their last-minute bid for election. Republicans Barry Ivey and Scott Wilson are speaking at candidate forums, sending out mailings, walking door to door, and calling frequent voters. The election, which will be held on Saturday, March 2, pits two conservatives against one another. They agree on most issues. On Wednesday night, the Republican Party of East Baton Rouge Parish announced its endorsement of Barry Ivey. The parish executive committee, composed of 17 members, considered their recommendations last Thursday and again at a meeting at 5 p.m. Wednesday. House District 65, which Richardson represented since 2008, includes the southern half of the City of Central and the eastern edge of East Baton Rouge Parish as far south as Jones Creek Road. Last week, Scott Wilson, who represents much of the same area on the Metro Council, was endorsed by the Associated Builders and Contractors. 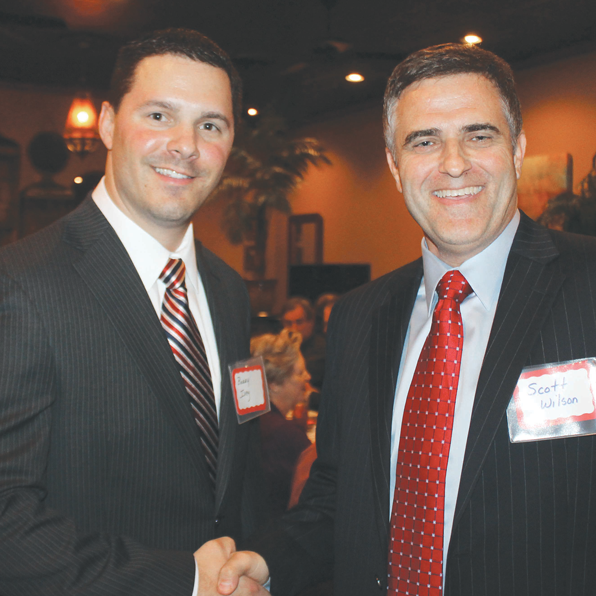 On Monday night, the two candidates addressed the Republican Women of Central. On Tuesday, both spoke to the Central Community Alliance. Wilson is the president of a trucking company. Ivey is president of a nuclear power contractor.